Polyvinyl alcohol (PVA) nanofibers coated with poly(3,4-ethylenedioxythiophene) (PEDOT) as a counter electrode (CE) is a promising material to substitute platinum CE for dye-sensitized solar cell due to the high conductivity of PEDOT and high surface area to volume ratio of PVA. 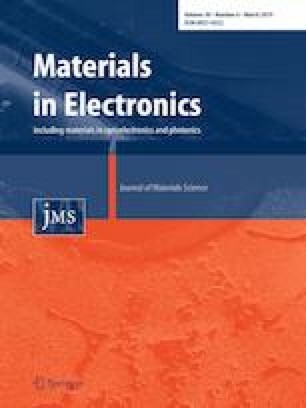 PVA nanofibers and PEDOT were prepared through facile techniques of electrospinning and electropolymerization, respectively. Field emission scanning electron microscopy revealed that PEDOT was distributed evenly on PVA nanofibers with porous cauliflower-like structure. PVA/PEDOT nanofibers CE had low charge transfer resistance (Rct) and possessed a good electrocatalytic activity with a low value of peak-to-peak separation (Epp = 0.34 V), thus an improved efficiency of 2.11% was obtained in comparison to platinum (1.14%), PEDOT (1.39%) and PVA nanofibers (0.017%). This research work was supported by the Universiti Putra Malaysia Research Grant (GP-IPS/2018/9619300).